In honor of the first night of football, I had to make a large piece of meat! 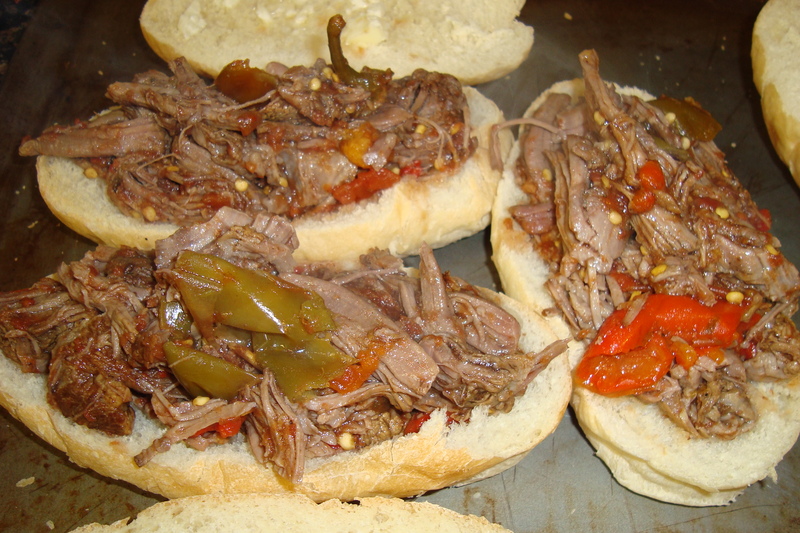 I made The Pioneer Woman’s Hot & Spicy Italian Drip Beef. Her other sandwiches (portobello mushroom and steak) have not let me down. 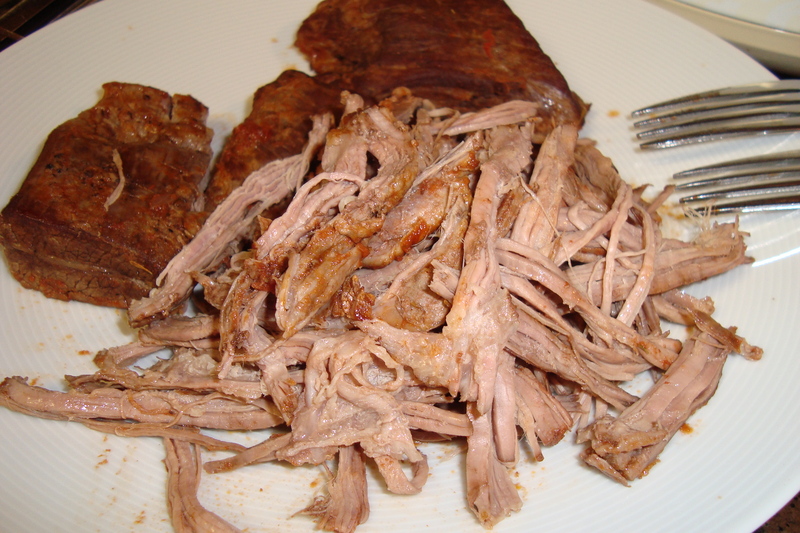 I used the slow-cooker to braise my roast, because although it has cooled down a bit, it is not nearly cool enough to be football season! I browned the meat in a pan first, but if I were to make this again, I would try skipping this step. 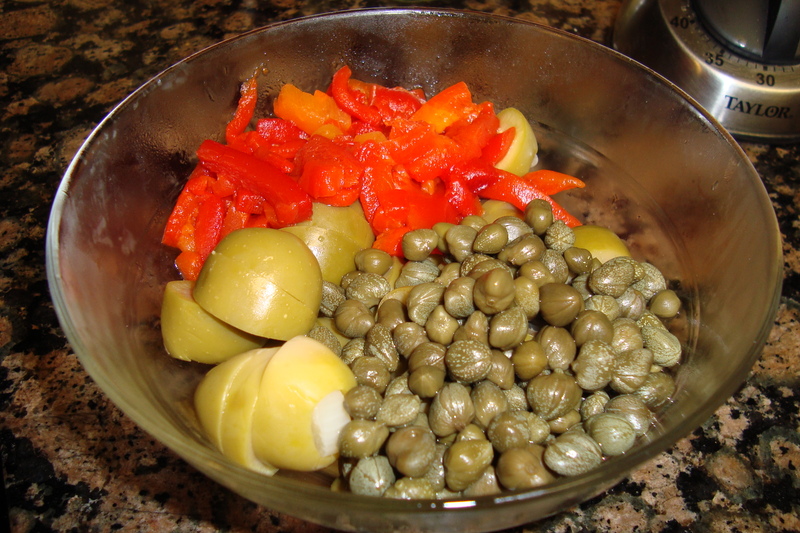 I served these with quick pickled cucumbers, which acted as both a vegetable and a topping. Cole slaw or macaroni salad would be great too! Rinse the chuck roast and pat dry. Season generously with salt and pepper. Heat the vegetable oil in a large skillet over medium-high heat, then sear the roast on both sides. 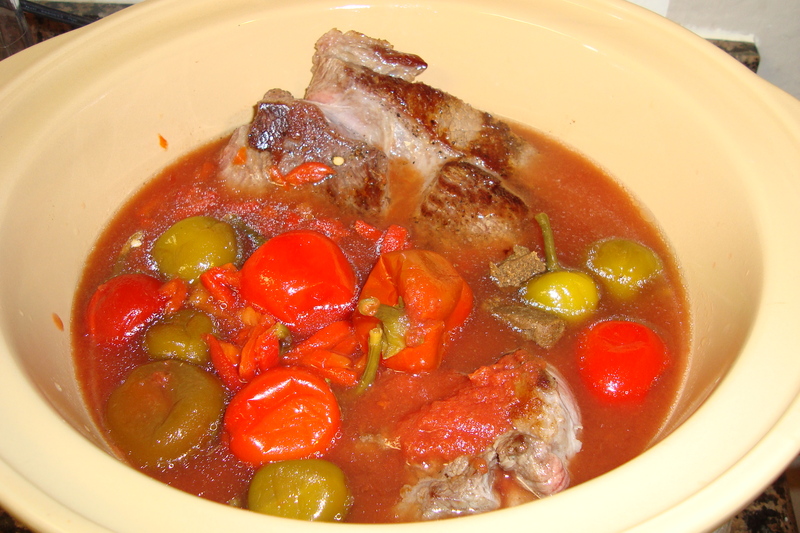 Place the garlic, tomatoes, stock, peppers, pimientos, and seared beef into a slow-cooker. Cook on the high setting for 4-5 hours (or low for 8-10 hours). When the meat is tender, remove it from the sauce. 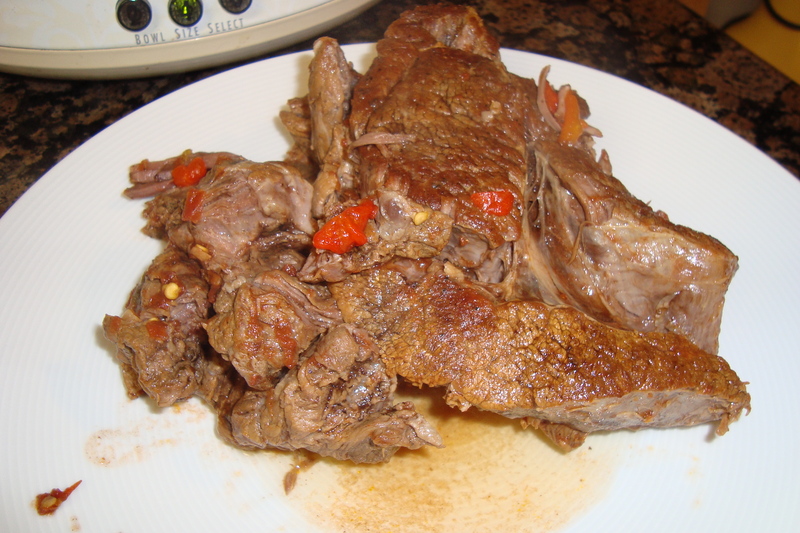 Pull the meat apart with forks or tongs, then place it back into the liquid. Toast the rolls and butter lightly. 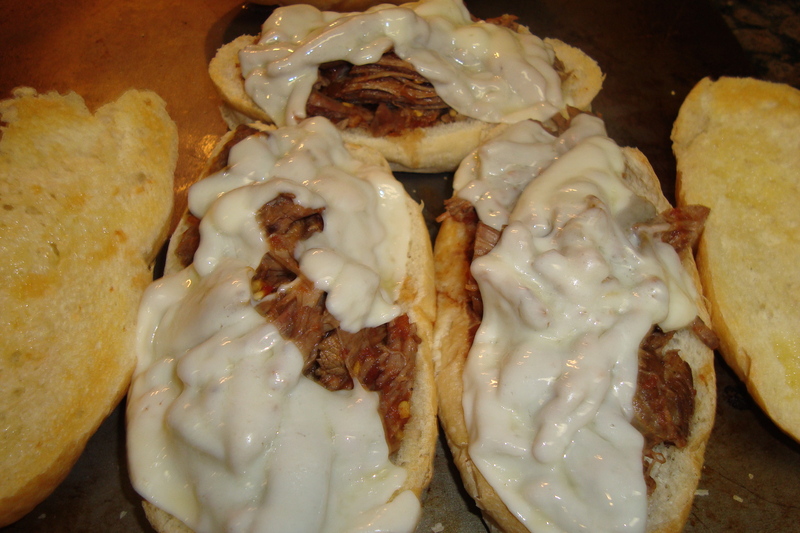 Top with meat and provolone cheese. Melt the cheese under the broiler. Optional: You can top these with pepperoncinis (I used fresh ones so that they would be tart) and serve them with some of the liquid on the side for dipping. 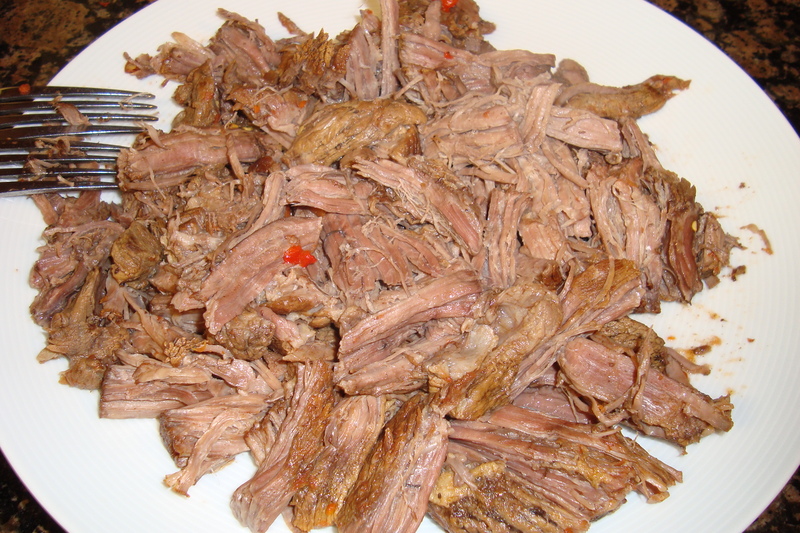 Ropa vieja is one of my favorite things to order at Cuban restaurants. 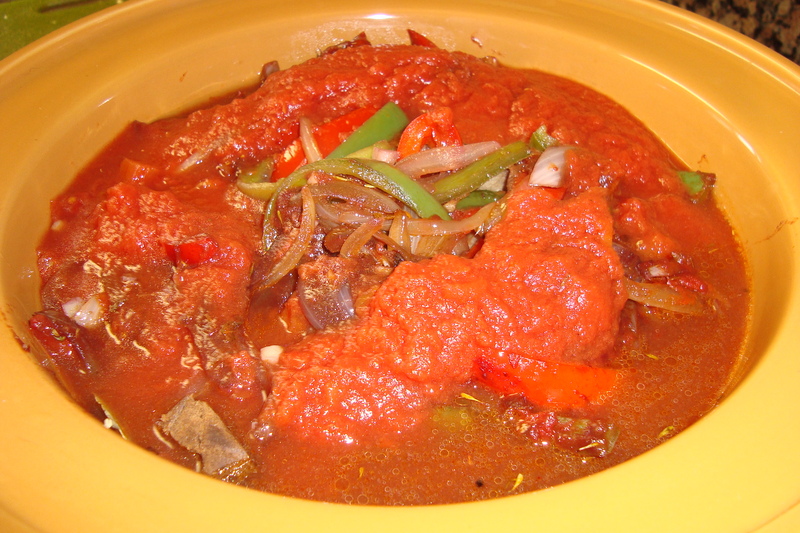 It’s stewed, shredded beef in a tomato-y sauce served over rice. When I saw this version in Saveur, I had to try it. It has been really warm in L.A. lately, so I started mine in a large skillet, then transferred it to the slow-cooker to simmer. If you want to simmer it on the stove, simmer it for 2-3 hours instead of 4, and start the process in a large dutch oven. I served this with white rice and black beans. In a large skillet over medium heat, render the bacon fat until the bacon is crisp. Remove the bacon from the pan (transfer to slow-cooker, if using). Season the flank steak with salt and pepper. 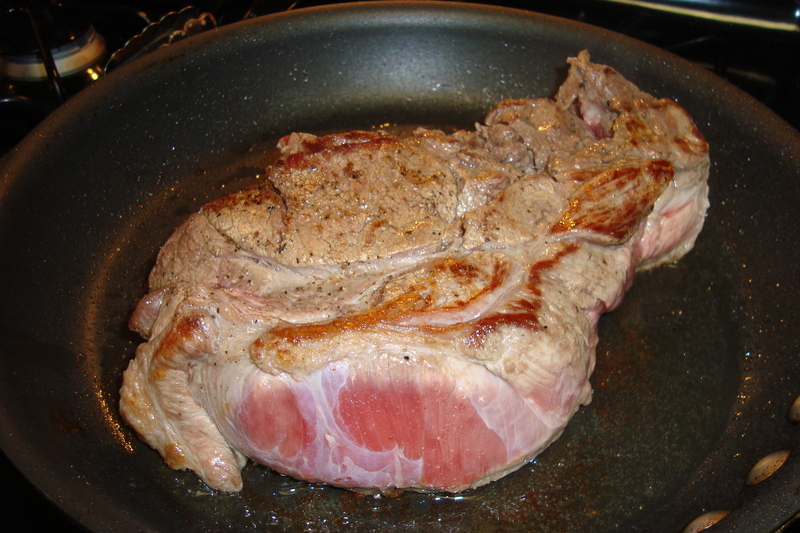 Over medium-high heat, brown the steak in bacon fat on both sides, then remove it and place it in the slow-cooker. Saute the onions and peppers in the remaining fat, until soft. Season with salt and pepper. Add the tomato paste, cumin, thyme, oregano, garlic, and bay leaf, cook for another 3 minutes. Add the wine to deglaze the pan. 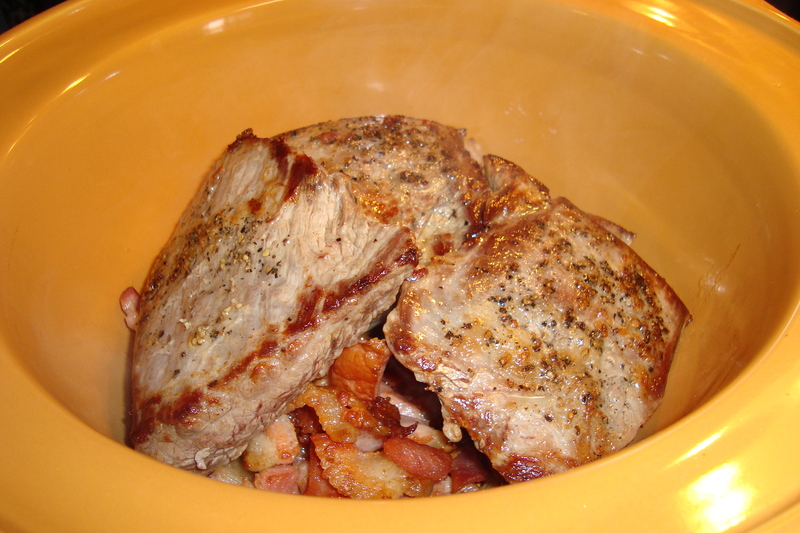 Place the onion mixture in the slow-cooker with the beef and bacon. 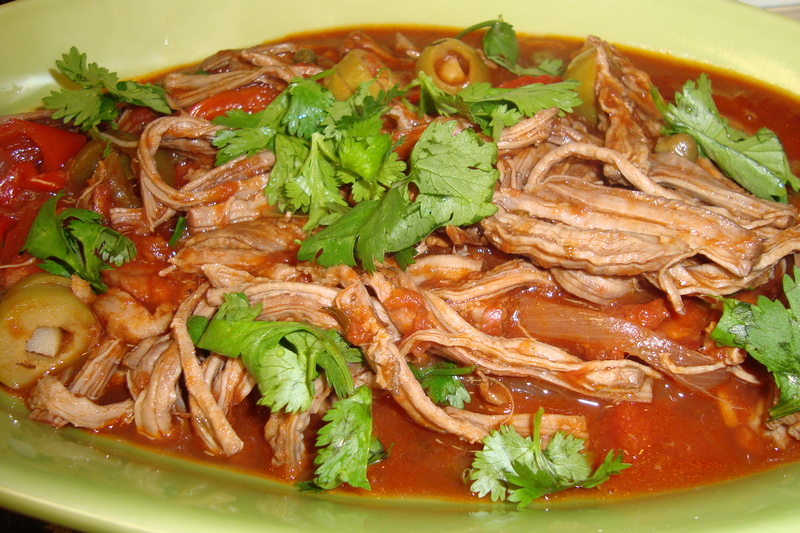 Add the crushed tomatoes and beef stock to the slow-cooker. Cook on High setting for 4 hours. Remove the steak and shred the meat. Return the shredded meat to the slow-cooker with the olives, pimientos, and capers. Cook for 30 more minutes. Garnish with cilantro and serve. 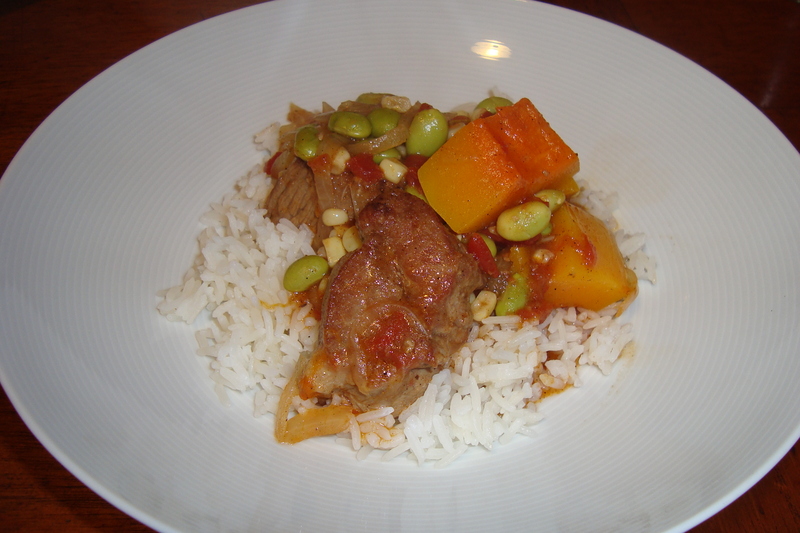 This is a delicious and quick summer stew. It only takes 20-30 minutes to make, so it won’t heat up your kitchen. Heat the olive oil over medium heat in a small dutch oven. Add the bacon and fry until crisp. 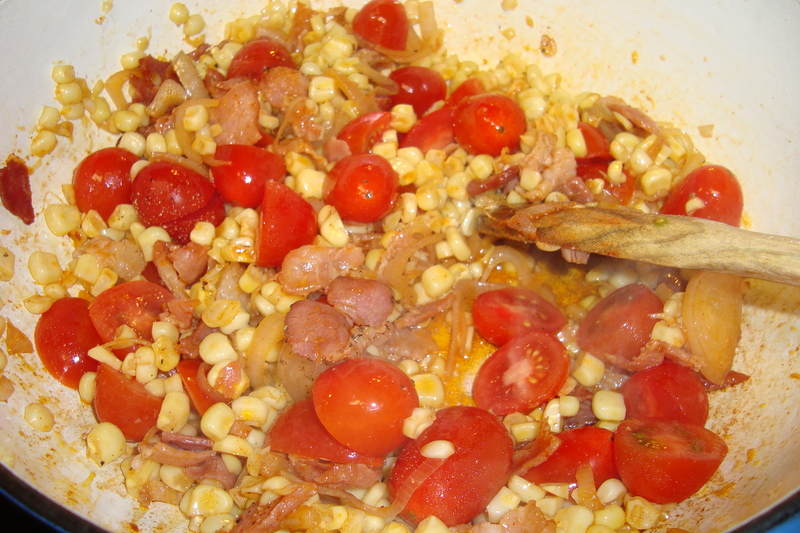 Add the shallots and corn, and saute for 3-5 minutes, seasoning with a tiny bit of salt (the bacon is already salty), pepper, and smoked paprika. Add the wine and tomatoes. 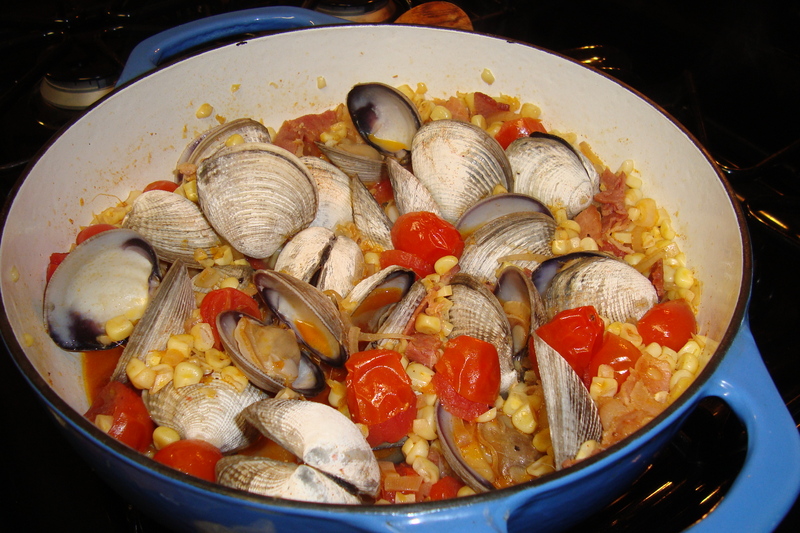 When the wine is boiling, add the clams, then cover and steam for five minutes. 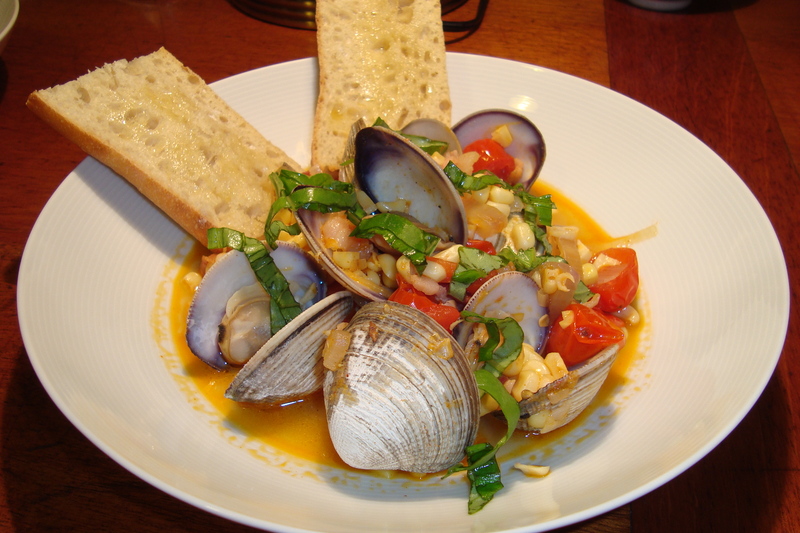 Once all of the clams have opened, the dish is done. Garnish with fresh basil and serve with crusty bread. One of the main excuses that I hear from people who don’t cook for themselves is that it doesn’t make sense to cook for one. If you don’t like to cook, that’s fine, but if you want a home-cooked meal and are eating solo, I don’t see why you shouldn’t be able to make something delicious in a single portion! 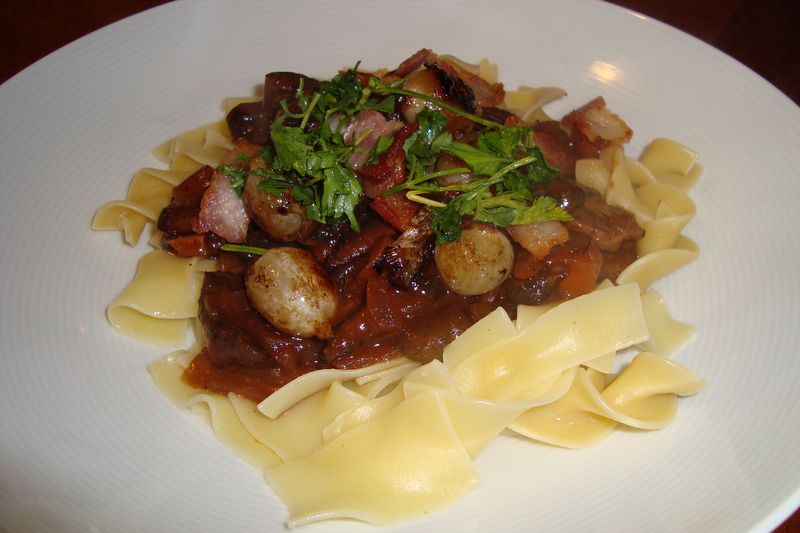 Paco was out late at a baseball game last night, so I decided to make myself a mushroom bourguignon. I love beef bourguignon (this recipe from Baked Bree is amazing), but it takes hours and genuinely doesn’t really make sense for one (unless you want to make a full batch and save the leftovers for later). However, it’s easy to make as many or as few mushrooms as you’d like, and the mushroom version is a lot quicker because there is no beef to braise. I used the mushroom bourguignon recipe from Smitten Kitchen, but I added some bacon and a few touches from the beef recipe above. The bacon adds a nice savory quality, but you can follow the original recipe to keep it vegetarian. Begin by making the bacon and onion garnish. Brown the bacon over medium heat in a small skillet, remove to drain on paper towels once crispy. Drain off some of the excess bacon grease from the pan, but leave a little bit to fry the onions in. Add the onions, tossing in the bacon fat. 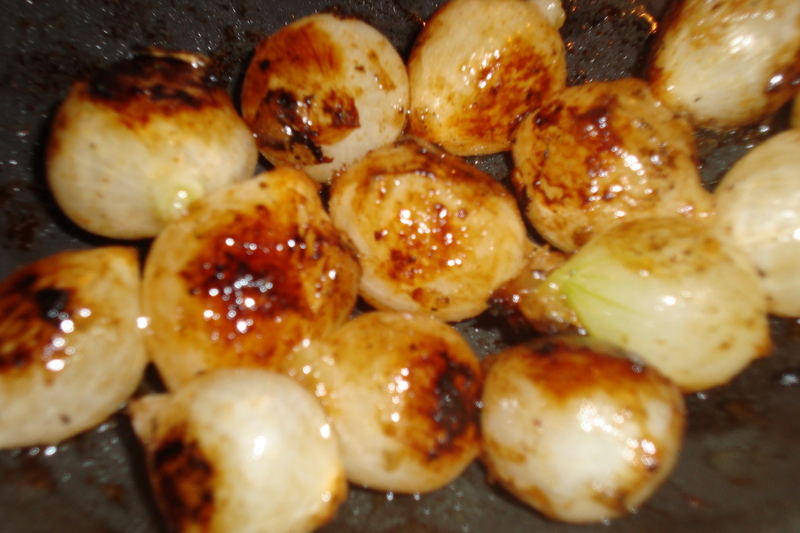 When they begin to brown, add the brown sugar and continue to cook for another minute, so that a nice crust forms over the onions. Set aside. Heat 1/2 T of olive oil and 1/2 T of butter in a pot over medium-high heat. 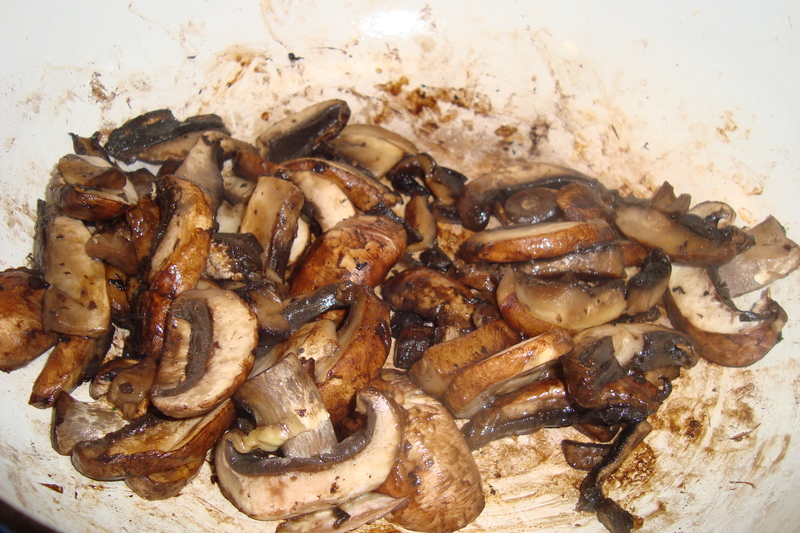 Add the mushrooms and brown for a few minutes, until they are dark brown but before they begin to release a lot of liquid. Remove them from the pot and set aside. Add the remaining olive oil to the pot and add the onions, carrots, and thyme. Season with salt and pepper. Saute for 5 minutes, then add the garlic, and saute for an additional minute. Add the wine to the pot, stirring to deglaze the pan. When the wine has reduced by half, add the brandy, tomato paste, and water or broth. Add the mushrooms to the pot and bring to a simmer. Simmer for 20 minutes. Mix 1/2 T of room temperature butter with 1/2 T of flour to make a paste, then add this to the sauce and stir. This should thicken the sauce. Simmer for another 10 minutes, or until the sauce has reached the desired consistency. Taste and reseason if necessary. Serve over egg noodles and garnish with the pearl onions and bacon. I love braising things when it’s cold out, and one of my favorite cookbooks is Braises and Stews: Everyday Slow-Cooked Recipes by Tori Ritchie. Paco stumbled upon it randomly when the author was having a book-signing at Williams-Sonoma in San Francisco, and gave it to me as a gift. I have tried many of her recipes, and all of them have been delicious. View the entire recipe on Epicurean.com. The results always taste perfect to me, so I have never made any adjustments to the recipe. Last night I used frozen edamame (pictured), but I usually use lima beans. I prefer the lima beans.